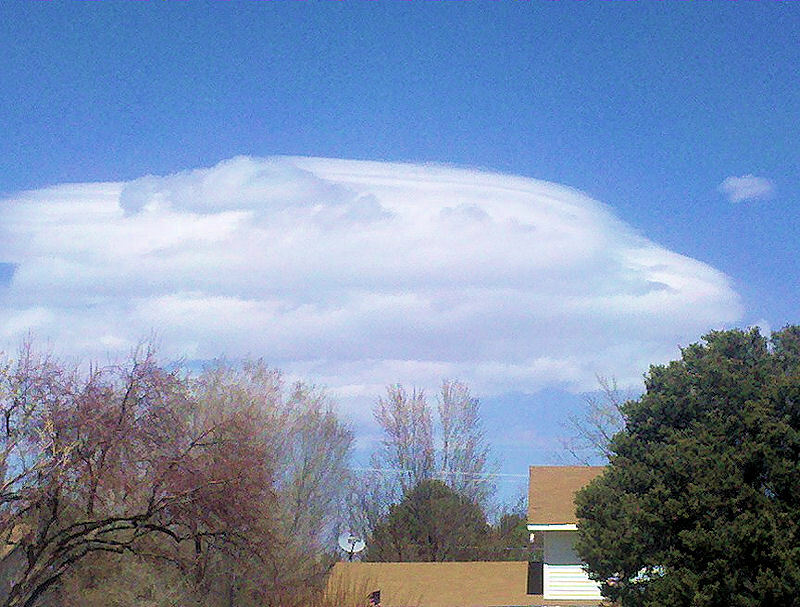 Interesting cloud formation over White Rock on a Spring day. That looks like a giant UFO hovering over. Maybe I've watched too many Sci-fi movies! Some say there are UFOs in Los Alamos. Or, at least the remains of the Roswell aliens. But, I can't comment on that. It looks like a big whale to me!